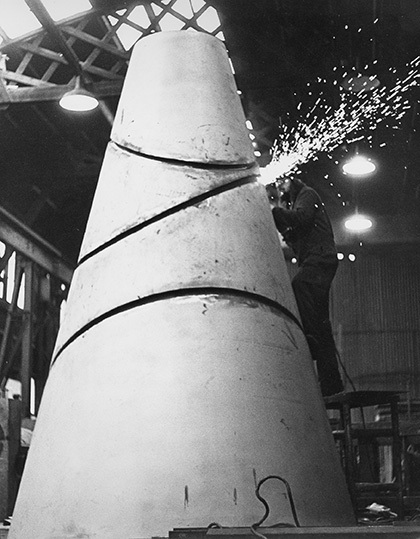 610 x 366 cm base diameter. 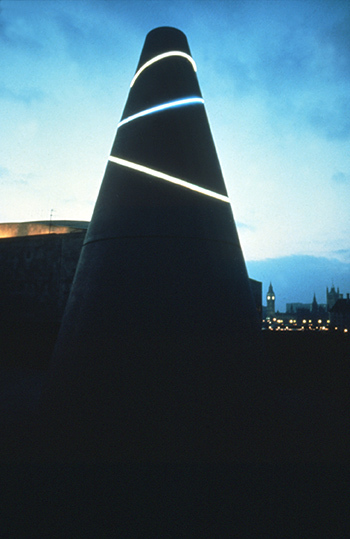 Painted mild steel, neon tubes, electric motor. 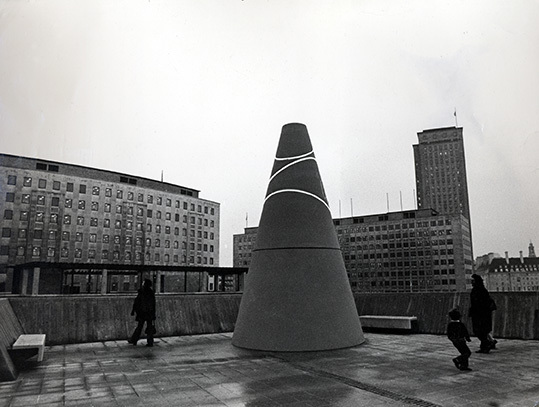 Made in 1971 as part of the Peter Stuyvesant Foundation City Sculpture Project, first sited in Plymouth and then in London at the Hayward Gallery, South Bank Centre. 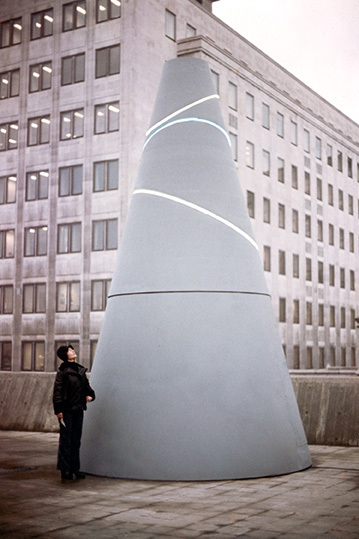 As the cone revolves, the neon ellipses expand and contract the spaces between them. 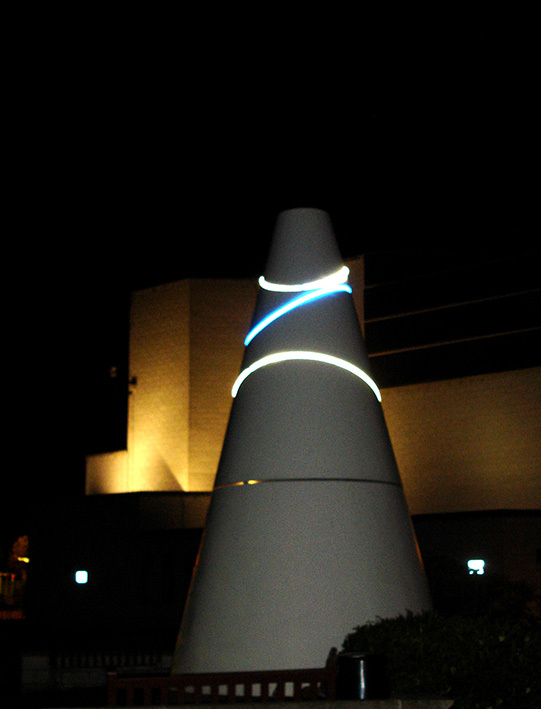 At night the cone dissolves into the shadows, leaving the neon rings floating in the dark space. 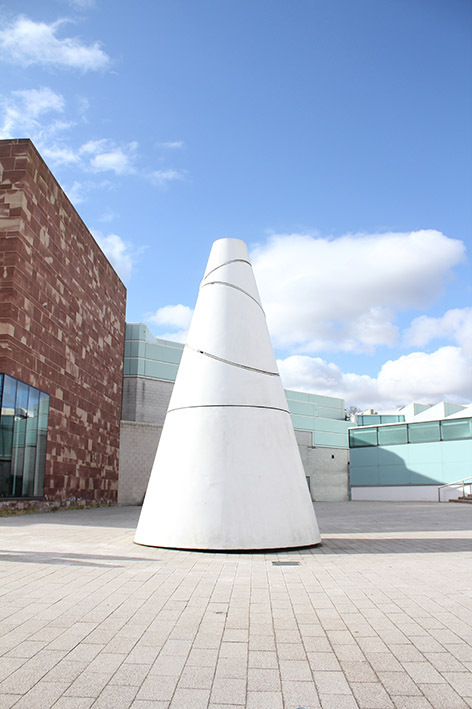 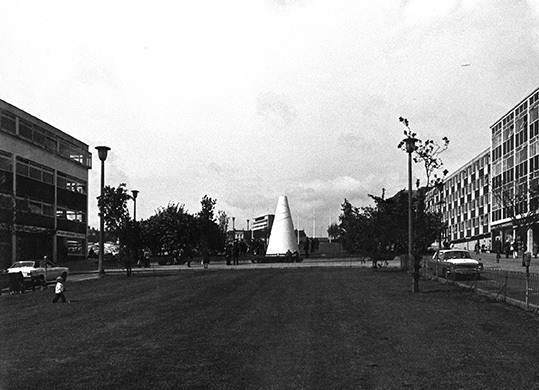 Purchased by the University of Warwick, Coventry in 1972, the sculpture is now sited in front of the Art Centre of the University.